White dwarf supernovas—more officially known as type Ia supernovas—are important to cosmologists because they all explode in very similar ways. That means they can be used to measure distances to faraway galaxies. However, a peculiar type of supernova, first identified in 2002, has a lot in common with type Ia explosions, but with a lot less energy. Some astronomers are now saying this could be a new class of white dwarf supernova that produces much less light and sends material into interstellar space at far lower speeds. Ryan Gosling has not endorsed this class, but if he knew about it, he would. OK, one part of that title isn’t true, unless Ryan Gosling signs up for the class in the next few days. There are still spots in my new online class “The Universe in a Box”, beginning next Tuesday, April 2. Sign up today! Also, we’re beginning another new class at CosmoAcademy: “The Sun and Stellar Evolution“, taught by Ray Sanders. He’ll teach you about the life cycle of stars, from formation to death and beyond, and what our own Sun can tell us about the whole process. The class begins April 15. For those of you in the UK, you might need to use this link instead, due to weird issues with the BBC website. For cosmology-lovers like me, yesterday was a full, busy day. The Planck telescope released its first full set of data, refining the estimates of the age of the Universe and its contents. I wrote two big pieces, one for Ars Technica and one for Galileo’s Pendulum. 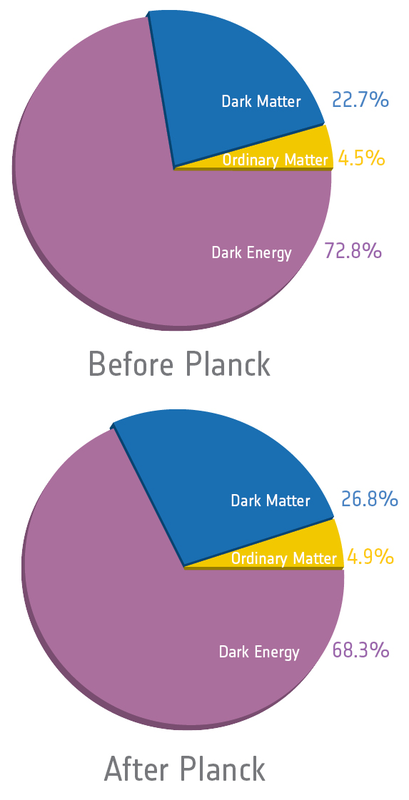 Charlie Petit at the Knight Journalism Tracker also has a great round-up of articles on Planck, for those who want a more mainstream approach than my “techy” one (to use Petit’s term). Imagine a planet 7 times the mass of Jupiter, hot enough to glow slightly, and containing dusty clouds of carbon monoxide and water. That planet is HR 8799c, one of the few worlds outside our Solar System which astronomers have been able to image directly. Part of the reason for its weirdness is its youth: the planet is only about 30 million years old, compared to the Solar System’s 4.5 billion-year age. In fact, up until an observation published this week, astronomers couldn’t be sure HR 8799c was even a planet: many of its properties make it look more like a brown dwarf, the star-like objects not quite massive enough to shine via nuclear fusion. Despite its strange aspects, the planet could help astronomers understand how the HR 8799 system formed—and reveal information about the origins of our own Solar System. 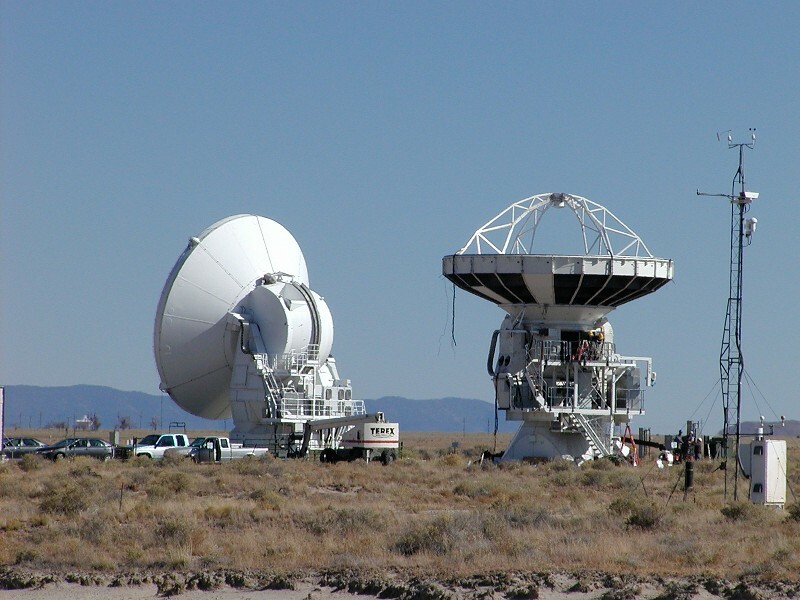 Prototypes of the kind of telescope used in ALMA, at the Jansky Very Large Array in New Mexico. When I took this photo, the prototypes were being actively dismantled for shipment to other sites. I’m a theoretical physicist by training and inclination, but I’m not immune to awesome experiments or observatories. (Ahem.) Case in point: the new Atacama Large Millimeter/submillimeter Array (ALMA) in Chile. This array of 66 telescopes in the high Atacama Desert is particularly well suited to hunt for the earliest galaxies and stars in the Universe. Their early scientific results—timed for the official inauguration of the array this week—bear that out, with the measurement of the distances to several star-forming galaxies that formed less than 1.5 billion years after the Big Bang. What makes it even better? My article appeared today, which is Albert Einstein’s birthday, and ALMA scientists used gravitational lensing—an effect predicted from Einstein’s general theory of relativity—to locate these galaxies. The galaxies of the Universe’s youth worked busily at making stars—that much is certain. However, what did those galaxies look like? How many were there, and how were they distributed in space and time?